Overseas, Sub Bass Snarl has performed in Tokyo, as well as shows in San Francisco, London and New Zealand. They have played with all the major Australian artists and have supported many of the more interesting electronic acts to tour Australia including Funkstorung (Ger), Coldcut (UK), Atom Heart (Ger), Meat Beat Manifesto (USA), On Un Sound (UK), Squarepusher (UK), David Shea (Belgium), Scanner (UK), David Toop (UK), Tom Middleton (Global Communications UK), Kodwo Eshun (UK), DJ Vadim (UK), Neotropic (UK), Anticon (USA), Hrvatski (USA), Jan Jelinek (Germany), The Gentle People (UK), Mad Professor (UK), Sutekh (USA), Nonplace Urban Field/Burnt Friedman (Germany), Tony Morley (Leaf Records UK), Si-Cut-Db (UK), Baby Ford (UK), Cylob (UK), Mike Dred (UK), Spymania Allstars (UK), Salmonella Dub (NZ), Kog Transmissions (NZ), Stinky Jim (NZ), SJD (NZ), Negusa Negust Sound System (UK), Tim Love Lee (UK), Pete Lawrence (UK), Luke Vibert (UK), Fat Cat Sound System (UK), DJ Olive (USA), Battery Operated (UK), Mitchell Akiyama (Can), Sage Francis (USA), Manitoba (UK), Kevin Blechdom (USA), Pan American (USA), DJ/Rupture (Spn), Sly & Robbie (Jam), Prefuse73 (USA). 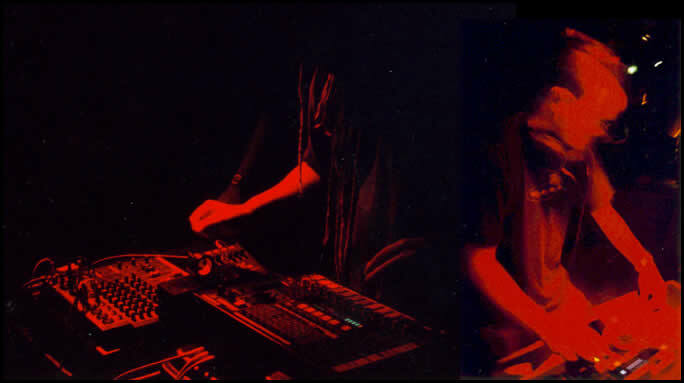 Their sounds range from jungle and dub to minimal techno and IDM. Bookings can be arranged thru subbass@snarl.org and postal contact via P.O.Box, A2073, Sydney South, NSW 1235.